We will reopen for the season on Wednesday, February 27, 2019. Come visit to help celebrate our 40th anniversary! 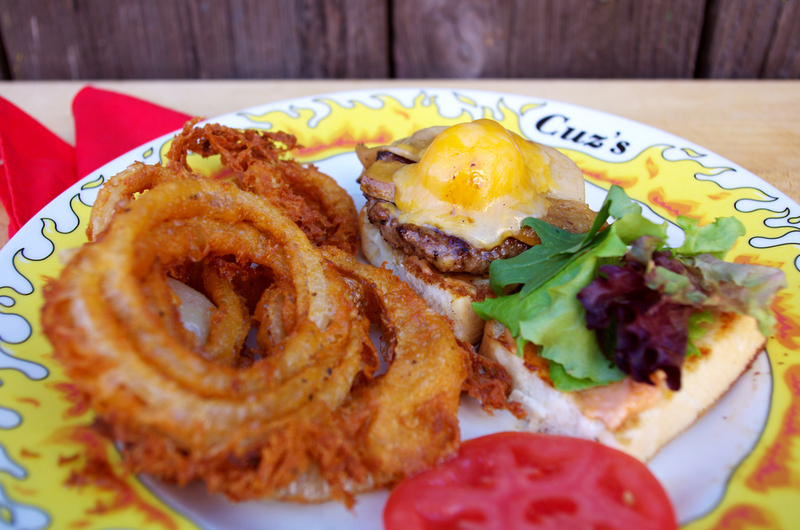 Cuz’s was named in the World Restaurant Awards list of the world’s best off-the-beaten track restaurants. Check out our Press page for more details. It's not just the food that brings people in. It's the vivid colors, the crazy artwork, and the place's attitude. Cuz's owners Mike and Yvonne Thompson. Photo by Michael Bowles, Virginia Living Magazine. This whole place is folk art, a masterpiece. A long time ago, the 'mayor' of Doran Bottom, Marv McGuire, known around these parts as Cuz, gave some advice to local boy Mike Thompson. He told Mike and his wife Yvonne to open up a honky tonk restaurant in the family's old dairy barn. Mike was a art history major who came back home to run the family farm. Yvonne grew up in Hong Kong, went to journalism school in Missouri, and worked at the local newspaper. This was 1979, before cooks were celebrities, and before the words 'foodie' and 'fusion' were invented . But they both love to eat, travel and cook, and opening Cuz's was just a natural. The restaurant started out with five tables in the milk bottling building, serving barbeque, grits and country ham, and people started coming. A little beer garden was added, and then the barn was renovated, and the restaurant went big time. 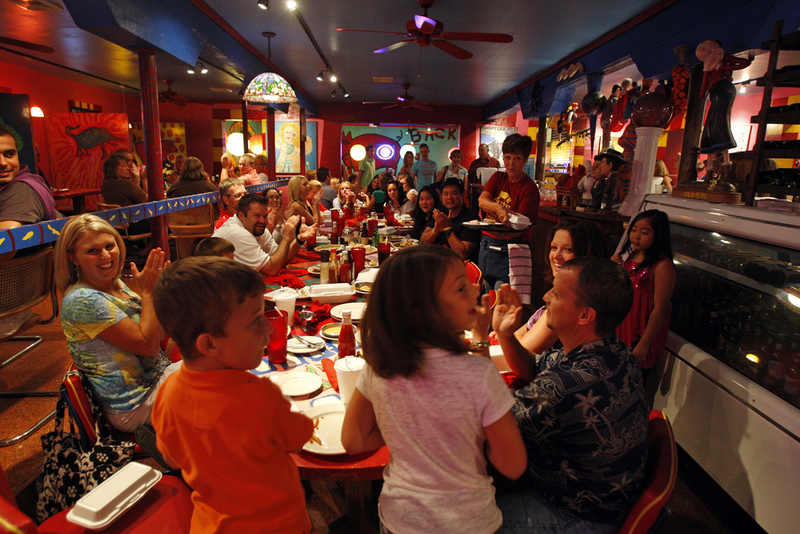 Over time, the restaurant has grown bigger and bigger. The silo was made into a private dining room, and the hayloft was renovated into a waiting lounge. Mike and his artist friends have covered the restaurant with bright paintings and objects collected from around the world. In 1995 two hand hewn cedar log cabins were built to accommodate long distance diners. Cuz's suffered two major fires, in 2000 and 2008, both in early October. We have rebuilt with tiles, glass, wood pizza oven, a wood-burning chicken rotisserie, and an additional dining room that can seat 100. Cuz's philosophy is still the same as it was in the beginning: steaks big enough to do all the advertising we would ever need, and seafood so fresh and varied that it seemed the beach had come to the mountains, and, above all, great food served quick and hot. From our farm in Southwest Virginia, legend of Cuz's has spread all over the world, and you shouldn't be surprised to see a Cuz's t-shirt in Bangkok or hear a tale of a Velveeta egg roll somewhere in your neck of the woods. Come on down to Cuz's, putting the thrill in Pounding Mill since 1979. Cuz's Uptown Barbeque. Photo by Bob Brown, Richmond Times-Dispatch. Cuz's wagyu slider with sweet vidalia onion rings. Fried grit cakes with tomato foam and sauteed crab.